The Deli is one of the highest risks for problems in a grocery store when it comes to food safety. As you undoubtedly know, many groceries have deli (delicatessen) counters. There you find the higher-quality meats, cheeses, salads, side items, and specialty products. Sometimes you’ll also find hot food (like chicken or meatloaf) that is easy to take home to supper or to take out to the picnic. Often the deli employees will fresh-slice cheeses and meats for you at your request. Oddly enough, the biggest risk with deli food is that it is considered ready-to-eat (ready to put in your mouth without any extra preparation or steps)! In other words, you’re not planning to cook or wash it again; it goes basically straight into your mouth. Cooking a steak or washing your lettuce is a step that helps your food to be safer. However, when it’s going to go straight into your mouth, there might be a higher safety risk. When you shop, make sure that you select your hot items last, especially if you’re driving a long distance to get home. Even having those hot items in your grocery cart with other foods (especially cold food) will drop the temperature of the hot items and raise the temps of the cold ones. Don’t allow the hot foods to sit out at room temperature for very long. Letting them sit on the picnic or pot luck table for a few hours might be convenient, but it could also allow the food to grow dangerous germs that could put you at risk. To find out more about food safety at picnics, click here. What do you need to look out for at the deli – in addition to the general grocery store guidelines? (For the general grocery store guidelines, click here.) 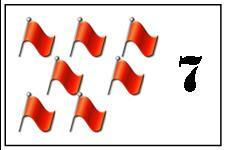 We’ll be giving you Red Flags for each risk; to find out more about Red Flags, click here. Do you see employees handling food with bare hands? 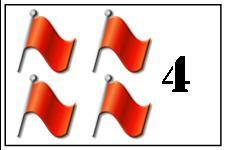 That’s a Red Flag #4. If I handle your food with my bare hands, that food (which is going straight into your mouth) also carries anything that was on my hands – including whatever I touched before I handled your food. Most deli departments require their employees to wear disposable gloves to avoid accidentally transferring anything (other food items, germs, or chemicals) to your food. Do you see food handlers not washing their hands? That’s a Red Flag #3 or #7, depending whether they are wearing gloves (#3) or not(#7). If you notice any employees walking into the deli and beginning to work without washing hands, this warns you that hand washing is not a focus in this department. The problem? You don’t know what the person was doing a few minutes before! Maybe he or she was handling trash, going to the restroom (and washing or not washing hands after wards), or out on break. The fact that you don’t know is enough for you to think twice about buying food here. Are the hot foods hot? Not really? That’s a Red Flag #6. We covered this in the general grocery area (click here), but the risk is higher with deli items, especially if you are dealing with hot items ready to go. See if the packaging states how long ago the hot foods were put in the self-service case. Anything that has sat longer than three to four hours may have cooled down to below 135 °F (60 °C). That makes it risky to eat. In addition, chicken that sits out for a long time becomes dried out and tough. Ask the deli employees if they have anything fresher coming out; if they don’t, it might be smarter to purchase a cold chicken or meat dish and reheat it yourself. To head over to the meat department, click here. To pick up lettuce at the produce department, click here. To decide how to respond to food safety issues you witness, or to decide when to call the health department, please click here. Want to forget about cooking and go a restaurant? To know what to look out for there, click here.